A beautiful pair of bags.. Different images on front and back.. both bags are identical. 1 1/2" x 1 1/4" in size. 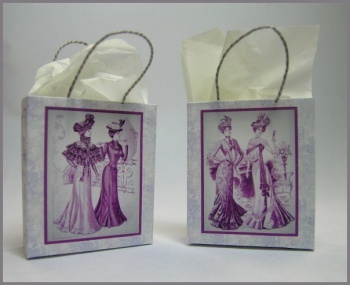 Includes full instructions, artwork, cording, and tissue to fill.